The environment is important to everyone. We need cleaner fuels and cleaner cars. At MVP, we take our responsibility to the environment seriously. 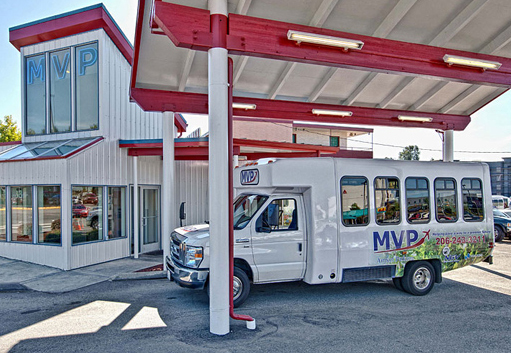 That is why MVP is committed to providing an eco-friendly and environmentally responsible parking and shuttle experience. We power our entire fleet with alternative fuels to help reduce our carbon footprint and air pollution. When you park with us, you are supporting a leader in green parking solutions. You can rest easy knowing that your vehicle is safe and that you have done your best to make the world a little better. World CNG is an established leader in the alternative fuel vehicle industry, specializing in the aftermarket conversion of small and medium-duty passenger and cargo vehicles from conventional gasoline to compressed natural gas. They provide us with vehicles that help create less pollution and use fuel that is less damaging to the environment. That should help fuel your desire to travel more often.